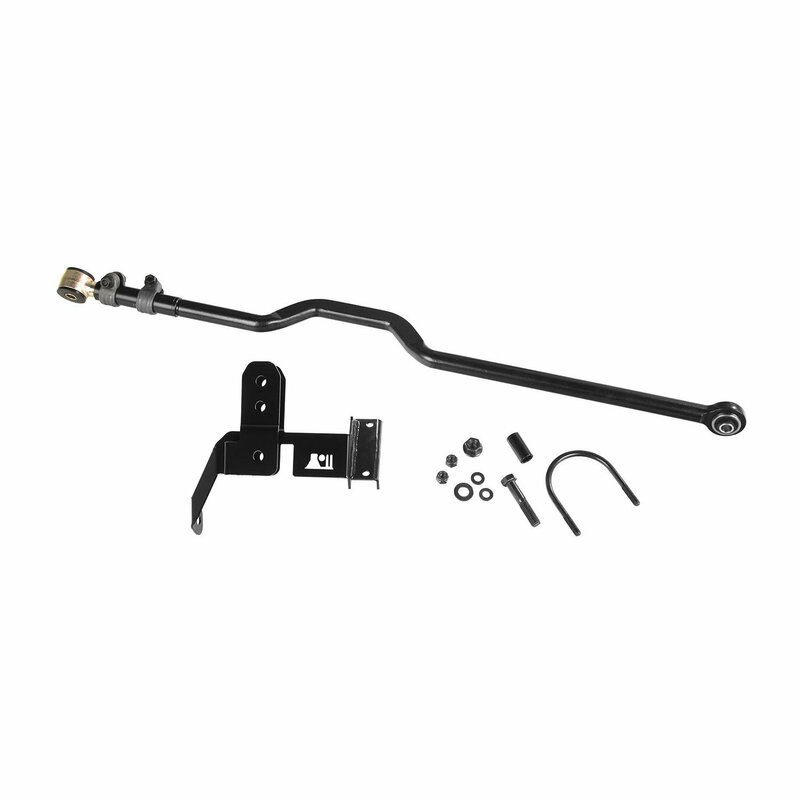 The Rugged Ridge Rear Adjustable Track Bar Kit is engineered to center the rear axle on your Jeep Wrangler JK. It will improve driving characteristics and maintain proper suspension geometry for Jeeps with 2-5.5 inches of lift. Made from 1.25 inch DOM steel tubing and finished with a black semi-gloss powdercoat. Mounting to factory locations for a simple installation. Fully Adjustable: Designed for a Lifted JK with 2-5.5 inches of lift. Allowing you to tune in the axle to proper geometry giving your Jeep proper tracking. Direct Bolt on: This kit mounts to existing factory holes with no drilling or welding. Providing for a quick installation. Quality Replacement: Offering a stronger track bar to handle the abuse of offroad terrain with urethane bushings keeping your Jeep going straight.